As the industry leader, Rimage defines the gold standard for on-demand digital publishing solutions, including digital asset management, disc publishing and printing. These solutions are sold and supported by Computergate and backed by world leading premium warranty and repair services provided by Computergate. 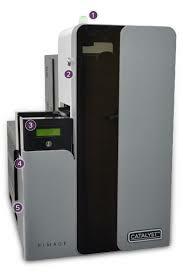 Recently launched was the Rimage Allegro which introduced two new models namely the Allegro 20 and Allegro 100. 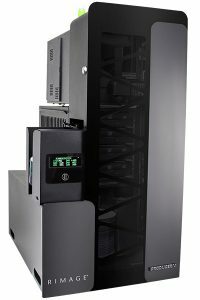 Rimage Allegro disc publishing systems are an affordable front-office solution ideal for low or moderate volume disc production. Discs are published with a full-colour print using the newest generation of high-speed, high-quality inkjet printing, for professional results each and every time. Currently in the launch phase is the Producer V. The next generation Producer V is the most powerful disc publishing system from Rimage, engineered for 24×7 performance. With industrial grade robotics, direct-to-disc printing and professional recording technologies, Producer V meets the world’s most challenging disc publishing demands for CD, DVD and Blu-ray Discs™. Computergate provides all in an out of warranty services for the full range of Rimage products using in-house trained experts. Extended warranties are also offered by Computergate for all Rimage products. As part of the premium service offering Computergate supplies all genuine Rimage consumables including media. Rimage offers a variety of system configurations to meet a wide range of disc production requirements for different content types, both large and small volumes, and all optical disc formats. New! The next generation Producer V is the most powerful disc publishing system from Rimage, engineered for 24×7 performance. With industrial grade robotics, direct-to-disc printing and professional recording technologies, Producer V meets the world’s most challenging disc publishing demands for CD, DVD and Blu-ray Discs™. 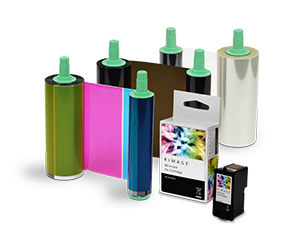 Get the most out of your Rimage system and printer by using quality genuine Rimage consumables. 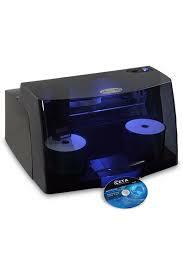 Not all disc printing supplies are created equal. 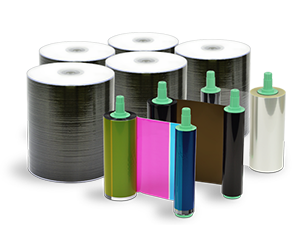 Rimage offers the best-quality ribbons, ink and media for the high-volume, on-demand performance you rely on from your publishing system and printer. Rimage CDs, DVDs and Blu-ray Discs™ are manufactured to the tolerances required for robotic systems and the high-quality, on-demand performance you expect. 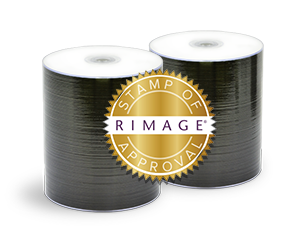 Rimage ribbons and ink cartridges are made specifically for Rimage thermal and inkjet printers to consistently give you stunning, professional-looking discs at competitive prices. Rimage Media Kits deliver guaranteed performance with matched, pre-packaged quantities of discs and ribbons or ink cartridges. Rimage Media Kits are designed to work with Rimage systems to deliver consistent print quality at value pricing. Business hours phone support and access to the Rimage Help Center. Dale Hansen, Computer Forensics Officer, City of MPLS Police Dept.